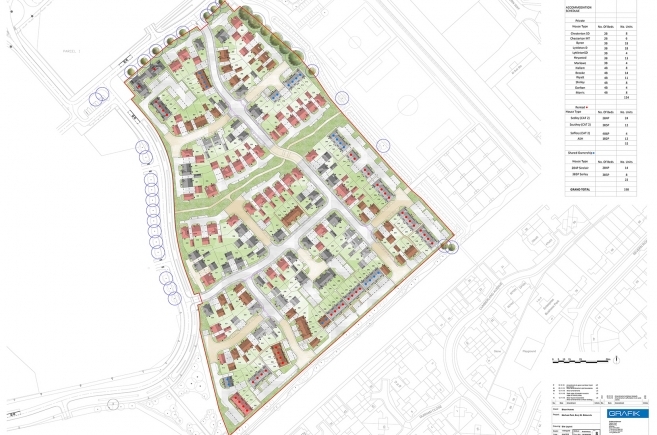 A Reserved Matters planning consent has been granted for 198 new homes on behalf of Bloor Homes in Marham Park, Bury St. Edmunds. 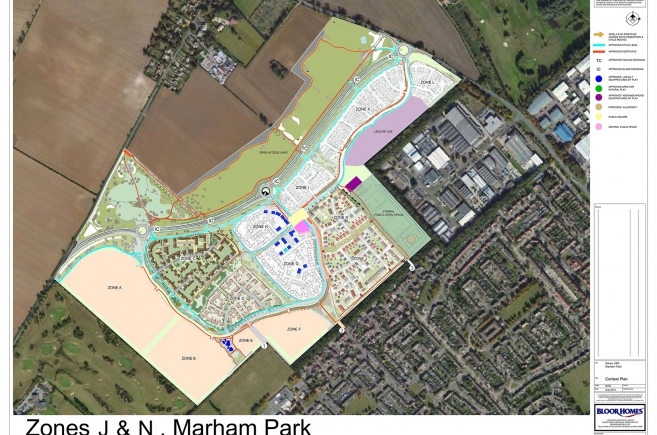 The site known as Marham Park is located on the north-western edge of Bury St Edmunds, by the Mildenhall Road (A1011) to the north-east. The two now approved parcels J & N form part of a wider outline masterplan, these two parcels knit in seamlessly with the road infrastructure, strategic green spaces and pedestrian network links of the wider masterplan. One of the design principles of the site includes the provision of a linear green corridor link through the centre of the site dissecting parcels J & N, creating a central area of public open space with properties fronting onto the green space. The development provides a variety of residential properties from 1 bed apartments to larger 4 bed houses. 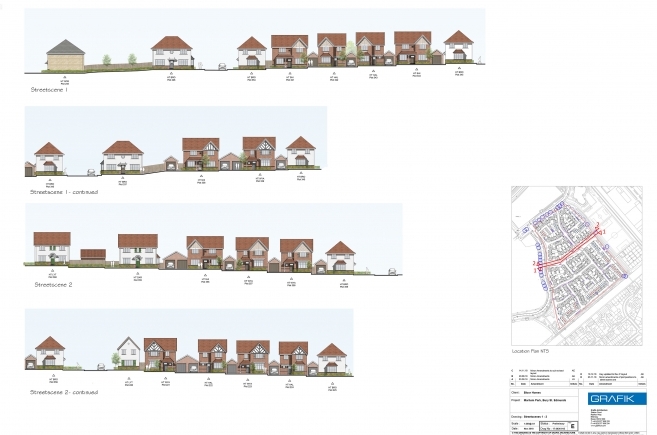 The majority of the site is proposed as 2 storeys in height, 2.5 storeys are used predominantly as key vistas throughout the site and increasing to 3 storey flats to the north of the site. The variety of these properties in terms of type, scale and design, with a range of unit sizes, catering for all sectors of the local community.